At 1 a.m. game time, Maiz, Tabu, Tallywhacker, Mentat, and Mujahadeen killed the most dangerous and difficult boss in Warcraft! 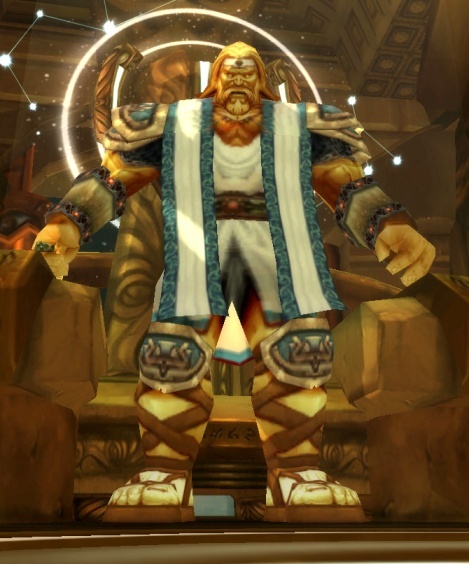 His name is Loken and he resides in the Halls of Lightning, a 78-80 dungeon. Special thanks goes to Tabu for explaining and coordinating the fight. Stanjazz has organized a run for Halls of Lightning tonight at 9 p.m. game time, so please check your calendars. This bodes well for our future raiding in 10 and 25-man dungeons. At our members meeting on November 30, Stanjazz was nominated by many members to be our captain for the month, responsible for organizing at least 2 dungeon runs a week for our members. Please let him know which ones you'd like to do, and when. If you don't see him in-game, please put up a post in the forum.